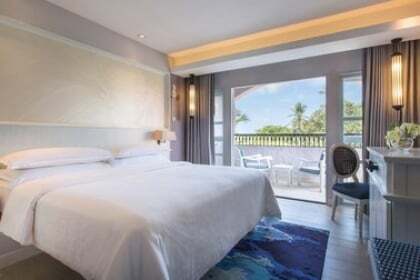 Holiday Package Deals | 3D2N stay at 4-Star Sheraton Krabi Beach Resort with Breakfast, 2-Way Flights & Airport Transfers! 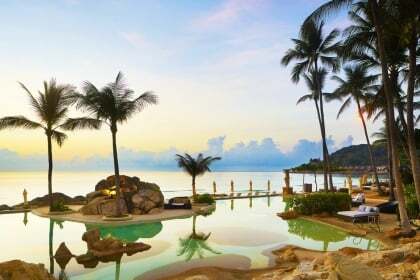 3D2N stay at 4-Star Sheraton Krabi Beach Resort with Breakfast, 2-Way Flights & Airport Transfers! To redeem in person, please visit P-Way Travel Office at 34 Norris Road, Singapore 208276. Operating Hours: 9.30am - 6.30pm (Mon - Fri, excluding Sat, Sun & PH). Printed StreetDeal voucher for each traveler and passport details must be presented upon redemption. Reservations are on a first come first served basis. Flight tickets, rooms & tour are subject to availability. When one plans for a holiday, one would usually plan to travel out of the country and further from home if budget be willing. Today's StreetDeal will allow you to do just that without burning a hole in your pocket. Embark on a tropical island adventure with today's deal and go snorkelling, island-hopping or simply laze around on Krabi's beautiful beaches to catch up on some reading. Other typical but ever-popular beach activities such as kayaking, sailing and birdwatching will also help keep you and your travel companions occupied. With its long white sandy beach, two inviting beach-front pools and several hammocks plotted in the vast tropical gardens, Sheraton Krabi Beach Resort offers all that guests might desire in a tropical paradise. Be it high or low tide, the Resort's sandy beach leads to refreshing ocean dips and lively beach volleyball games. The on-site Water Sports Centre offers snorkeling, kayaking, wind-surfing and sailing equipment for use at the resort. Complimentary High Speed Internet Access is available in the lobby at the [email protected] experienced with Microsoft, an exclusive area adjacent to the business center where you will also find a number of workstations, international magazines, plasma televisions, and games. The [email protected] experienced with Microsoft is a place to enjoy the energy and social aspects of the hotel. Reward and revitalize yourself at the Mandara Spa. This haven uses centuries-old Asian healing remedies and contemporary beauty treatments with two spa suites, steam room and six private treatment rooms. The Kids Club provides a wide range of "edu-tainment" and creative programs, including batik, rocket and balloon making, and much more. A good selection of toys, cartoon books, Play Station and computer games will appeal to young inquisitive minds. The Kids Club will help children to create fun-filled times during their stay with great memories to take home. 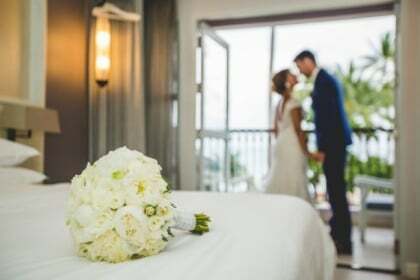 Other facilities include a fully equipped 24-hour Sheraton Fitness, outdoor tennis court, game room, bicycle rental, gift shop and tour desk. Round-trip transfers by air-conditioned vehicle, English speaking guide, boat transfers, snorkelling equipments, barbecue dinner, fruits, drinking water and insurance. Pick up time will be within half an hour of the time shown on the voucher, however you need to contact the supplier at 075-637130-3 (domestic) or 66-75-637130-3 (international) between 0830hrs and 1700hrs daily to reconfirm the exact pick-up time one day before the tour takes place. Please note to bring sunglasses, sunscreen lotion, and dry clothes to change. Board a speedboat from Ao Nang to visit Thailand's most beautiful islands, Phi Phi Don and Phi Phi Ley. The tour includes a visit to Bamboo Island, where you can enjoy leisure activities like sunbathing on the white sandy beach or swimming in crystal azure water. Back on board pass by the Viking Cave, where nesting swifts provide raw material for birds nest soup (no entrance to the cave by law), and through the magnificent lagoon of Phi Phi Ley. The program also makes a stop at Maya Bay, where the famous scene of 'The Beach' movie starring Leonardo Dicaprio took place. Visit Loh Samah Bay located at the back of Maya to view the beautiful aspect of the sea. Snorkel at Monkey Bay and continue for lunch in buffet style served at a local restaurant on Phi Phi Don. Back on board for afternoon snorkelling around Phi Phi Don. Return to Krabi mid afternoon and transfer to hotel. Round-trip accommodation to pier transfers by air conditioned vehicle, English speaking guide, entrance to National Park, life jacket, snorkelling equipment, drinking water, buffet lunch. Pick up time will be within half an hour of the time shown on the voucher, however you need to contact the supplier at 085-844-8650 (domestic) or 66-85-844-8650 (international) between 0800hrs and 2000hrs daily to reconfirm the exact pick-up time one day before the tour takes place.